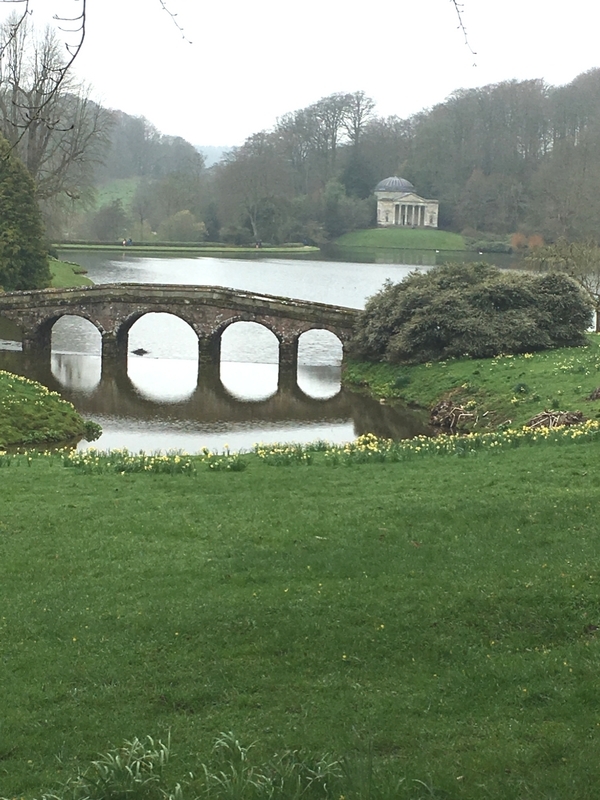 On our way to Bath for the weekend, we decided to break up the journey and stop at Stourhead National Trust in Wiltshire. Just under an hour from Bath this seemed like the obvious stop and to make the most of our National Trust membership. Stourhead house and gardens was home to the Hoare family for many years and was adapted by different generations of the family. It was handed over to the National Trust in 1947. Stourhead is located in Wiltshire, a 1,072 hectare estate near Mere in Wiltshire, right on the river Stour. 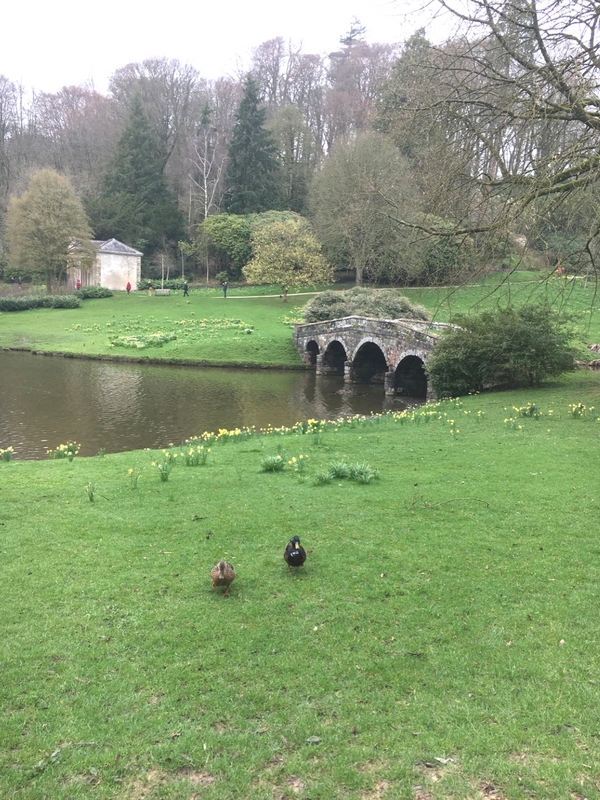 There is so much more to Stourhead than just the house and gardens, which includes the village of Stourhead, a public house, gardens, farmland and woodland. When I look at potential National Trust properties to visit, I always look to see if they are pet friendly. This is quite important to us if we’re planning on a day out to include Lola in our travels. As we were travelling with Lola we made sure there was plenty of space to be able to walk her. I didn’t actually realise just how big the Stourhead estate is so we wouldn’t be short of dog friendly places to wander. 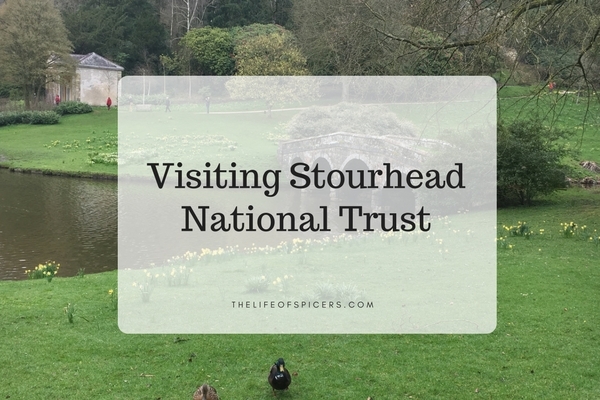 We were able to walk with Lola right up to the front of Stourhead house using the paths, and then we discovered some woodland just to the side of the house which was perfect dog walking time whilst the house was visited by everyone else. I could have spent ages in the woodland exploring, the paths seemed to go on for miles in front of me. Hubby also managed to walk along the main road with Lola adjacent to the gardens whilst Abby and I explored the gardens in greater detail. Dogs are welcome in the gardens at certain times of the day and in varying seasons of the year. It’s worth checking the website before you travel to make sure if you’re taking your dog with you. Stourhead is definitely one of our favourite dog friendly National Trust properties we have discovered so far. How Much Time Will You Need At Stourhead? I underestimated the size of Stourhead house and gardens thinking we could just stop off here to stretch our legs for an hour or so. You can definitely spend more than a day at Stourhead, making it a great value day out. Stourhead ticket prices on the day are £18.30 per adult and £9.20 per child. When you compare the price of a one day ticket to the annual cost of a membership, it really is a no brainer to join the National Trust and save some money in the process. The Stourhead estate is quite spread out with the famous landscape gardens being accessed via the village road and past the village pub. It’s a quaint place to walk through and I think to get the full benefit you would need to spend longer than a couple of hours here. The gardens itself have a vast lake in the centre which create amazing views, and I can only image what this would look like through the different seasons. With spring, the flowers are starting to bloom but I can imagine it’ll look so much different in a few weeks time. To walk around the lake along one of the walks would take around 2 hours. We definitely didn’t have time to even walk a third of the way around the gardens this time, but we spent a bit of time exploring in some of the nooks and crannies along the way including the Temple of Apollo, one of the temples in the gardens. The Stourhead gardens temple of Apollo was built in 1765 by Henry Flitcroft, dedicated to Apollo the sun god, the temple shows amazing views. We usually stop for a hot chocolate or a bite to eat when we’re visiting a National Trust property. 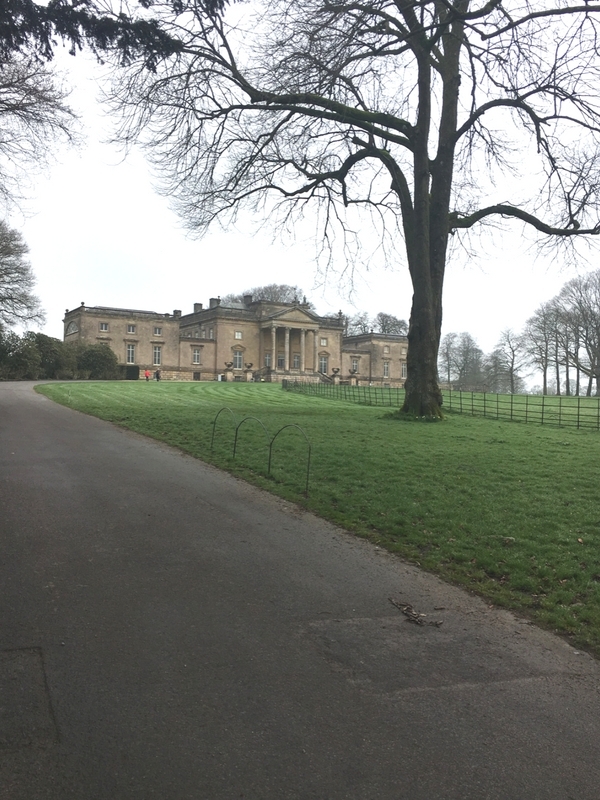 Stourhead has a great restaurant which has so much choice, a lot more than other properties we have visited recently. There are so many walks around Stourhead, so if you were looking for a longer walk, you could take the path to visit King Alfred’s tower, a 160ft decorative building thought to have been designed by Henry Flitcroft for Henry Hoare in 1772. To walk to the tower you will need to walk past St Peter’s Church and continue on the road instead of entering the gardens. 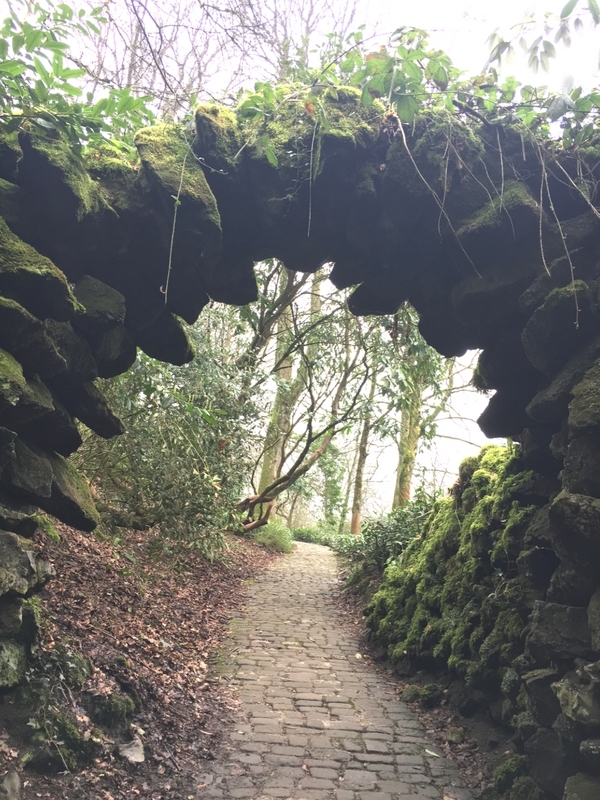 If visiting Stourhead is part of a mini break or holiday, then it’s useful to know what’s in the local area. As previously mentioned at the beginning of this post, Stourhead to Bath is just under an hour’s drive away. Longleat Safari Park is also not too far away at just twenty minutes drive, so if you’re looking for a National Trust near Longleat then Stourhead is a great choice.